Rafiki depicts Africa in a way the western world doesn’t often see it: with its urban character, full of colours, music, and happiness. Even though it deals with some complicated topics. Rafiki is a story of two young women from Kenya who fall in love and of course, the conservative environment they’re part of, does not support this kind of relationship. It a story about first love in a country where LGBT+ rights are still denied. 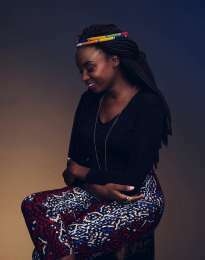 Wanuri Kahiu works with the traditional culture of the region and transforms it into the modern world. The film is full of pastel colours, songs, sometimes it reminds of a musical. Regardless of various obstacles, it depicts the happiness and celebration of life in Nairobi. Rafiki is the first Kenyan feature film to be introduced in Cannes Film Festival as part of the Official Un Certain Regard selection. (1980, Nairobi, Kenya) is a part of the young generation of Kenyan artists. Her short films were screened on festivals all around the world and her short film Pumzi (2009) received an award on Venice film festival. Rafiki is her second feature film.